Drones have been one of the fastest growing phenomenon’s in the last few years, both in terms of private and commercial use. To be the expansion into context, back in 2012 the Federal Aviation Administration (FAA) estimated that by 2012, 30’000 drones will be operating in US airspace; at this current time (2016) around 2.5 million drones are operational in the United States, of which 500’000 are being used commercially. Unsurprisingly, the FAA has since revised their forecast and now predicts the country will have 7 million drones in the air by 2020. Many believe drones are the next step in the process of the ‘industrial revolution’. Before the availability of the modern cranes and industrial equipment, we rely so heavily upon today, laborers would be forced to complete every single job on the construction site by hand. Jobs that today take months to complete would have in years gone by taken years, and in maybe 20 years time, the jobs we see today taking months could take weeks, thanks to the use of drones. Assessing the earth for the foundations of construction is also something that a drone can be considerably more efficient for. Traditional land survey equipment gets the job done and provides accurate results, however, when the apt software is installed into a drone, it will also attain accurate result but it will complete the job in a time 85-percent quicker at a cost of 10 times cheaper than traditional methods. Furthermore, the job a project manager is also made fundamentally easier through the assistance of drones. In years gone by builders manually assessed project dimensions, which would predominantly be unreliable, timely and costly. By using drone data tools, the drone can automatically measure essential projects components, such as stockpile volumetric, whilst also sending instant feedback to the project manager who can begin analysis. Drones are becoming increasingly common in day-to-day life but this is just for leisure, more importantly, drones are becoming more and more prevalent in a variety of industries but none more crucially than construction. Construction is an industry very much built on efficiency, in the sense of cost and time; hence the reason drones potentially have such a pivotal role to play, when the above reasons are taken into consideration. You would be a brave person to bet against drones being a key player in the next industrial revolution. 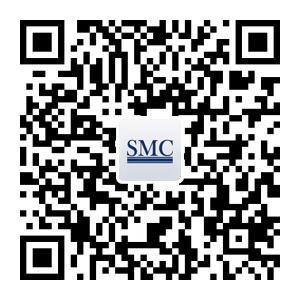 The SMC is honored to have its HQ in Shanghai – one of China’s most vibrant and beautiful cities. In today’s modern era we can observe that important constructions become more and more aesthetically innovative. More and more buildings receive their outstanding title from their stylish form. Obviously, throughout history, we weren’t the first one to put effort in the aesthetic details. Famous palaces such as the Taj Mahal, Palace of Versailles, Summer Palace, Alhambra and many others have gain their popularity today thanks to their aesthetically pleasing construction. They are also well known because of their historical functionality and story. There exist plenty other palaces which had important function but are less popular, one of the reason is because they do not stand out aesthetically. This phenomenon can also be observe in modern constructions. Good-looking buildings are more popular and can have an important impact on the image of their representative city and attract tourists. Below, we have some of the most famous building designs which have, without doubt, played an important role in tourists attraction. 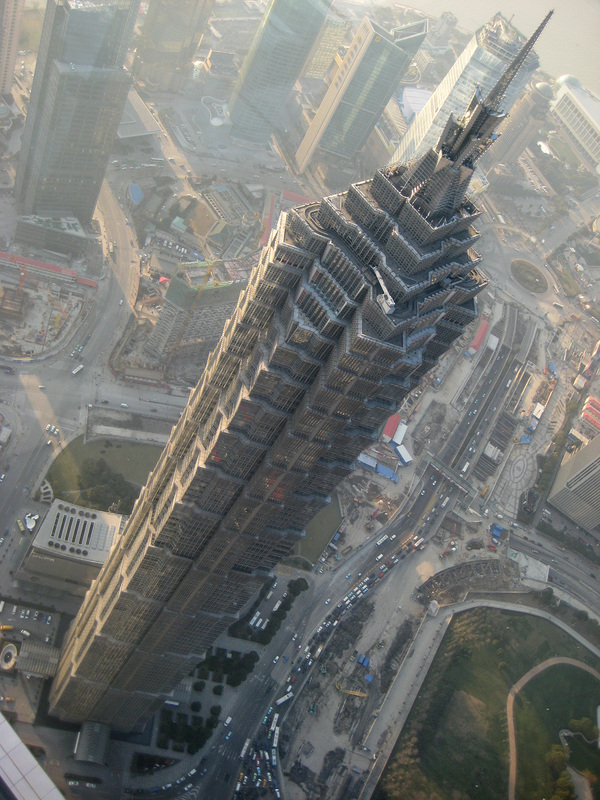 This amazing sky-crapper is the tallest man-made building in the world, at 829.8 m (2,722 ft), having over 150 floors ! The decision to build Burj Khalifa is reportedly based on the government’s decision to diversify from an oil based economy to one that is service and tourism based. This futuristic observation tower is the symbol of Seattle, having nearly 20,000 people a day used its elevators to enjoy its observation deck at 160 m (520 ft) and the rotating SkyCity Restaurant. This art museum is the permanent home of a renowned and continuously expanding collection of diverse style of art. In 2013, nearly 1.2 million people visited the museum, and it hosted the most popular exhibition in New York City. Who would ever thought that this sci-fi building is located in London ! One of its key feature is its 12 lifts which are located on the exterior to get more space in the interior of the building, hence its nickname : The Inside-Out Building. This 47 floors hotel is your alternative destination of Las Vegas. Its casino offers 800 mass gaming tables and 1000 slot machines. The star of The King of Gambling, Stanley Ho is on permanent display at the casino, which is said to be one of the largest diamond in the world ! There are still dozens of other examples of stylish buildings and their number keeps growing. Shanghai Metal Corporation is the leading specialist for building materials from the floor until the roof with plenty of options. To see more, please visit our website or send us your inquiry. Our English speaking staff will guide you to find your wanted product with the best quality and price. Don’t forget to follow us on Social Media. Dubai, a place with iconic skyscrapers, high-rise buildings, the world’s tallest building (Burj Khalifa with 829,8m) and the twisted skyscraper,is now planning to build the world’s tallest twin towers. Architects Skidmore Owings & Merrill (SMO) were the ones who designed twisted Cayan Tower and now it is completed. This skyscraper that is 307 meters high. 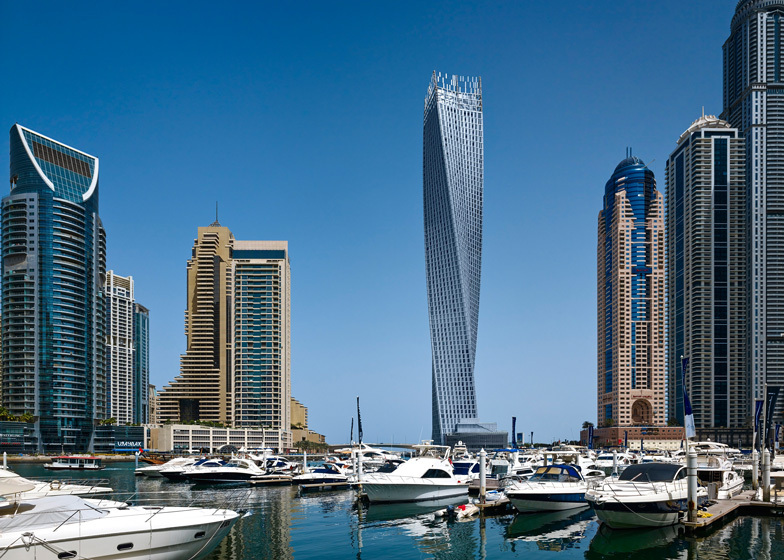 The twisted profile of this tower reduces wind forces as it disperses it around the exterior. Metal facade was designed to screen interior from a desert sunlight. Cayan Tower now became a significant part of Dubai’s 21st century skyline. 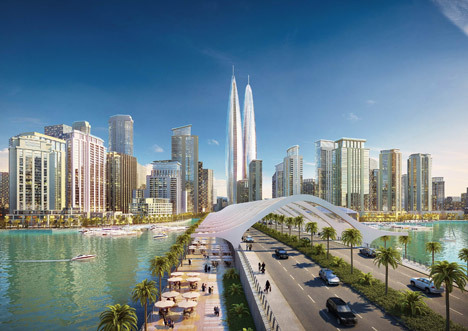 Developers Emaar Properties and Dubai Holding want to build a huge leisure and residential area including towers that will be as its centerpiece. 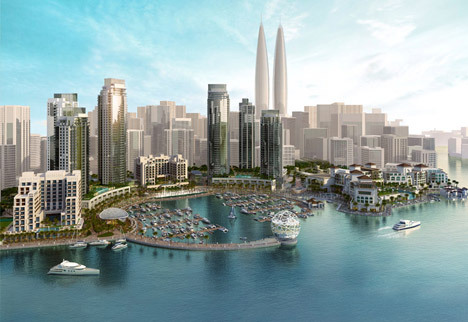 Dubai Creek Home, as they named it, will be a new landmark and tourist area with 39, 000 homes, 22 hotels, retail outlets, tourist attractions and of course twin towers. There are no concrete architects named for this project and the construction date of twin towers still hasn’t been confirmed. Also twin towers’ height remains as a developers’ secret. Shanghai Metal Corporation offers customers high-quality metal and steel products. For more information, please don’t hesitate and visit our main website or send us inquiry. English speaking staff will guide you further. Download also an application by scanning QR code or follow us on Social Media. You can read more articles written by this author here. Architecture is often viewed as form of art and beauty used to illustrate humanities creativity and imagination in a physical form. It embodies the mood of an era and the limit of technological advancement. However, power, prestige and wealth have always been illustrated through architecture. The cathedrals of Europe were always the tallest, largest and most beautiful buildings in the cities as at one time the Catholic Church was the most powerful institution in Europe. The modern world has seen religious power replaced with financial power and its symbols of importance and prestige are Skyscrapers. Asia is developing at an incredible pace and soon the economy of China will surpass that of the USA. Not surprisingly Asia has also become the new capital for skyscraper construction as the continent illustrates its new found financial power in physical form. One must only look at the skylines of Hong Kong, Shanghai and Taipei to see that Asia is a rising financial power. As with all monuments a level of grandeur is expected and the nations of Asia have most certainly delivered. Taipei 101, Jin Mao tower and PETRONAS Towers all show a beautiful mix of inspired Asian design along with a Western embodiment of power. Today the Majority of the 50 tallest building are in Asia and this trend shows no signs of slowing down. Shanghai Metal Corporation is one of the leading suppliers of glass curtain walls which are required for the construction of modern skyscrapers. Making certain that the glass of these new buildings is fastened securely means that we can continue to marvel at Asias new architectural prowess with the confidence that it will stand the test of time. To find out more, please visit our Website or send your inquiry here. Follow us on LinkedIn, Twitter, Facebook, Instagram and don’t forget to subscribe to our YouTube channel. Or you could try our new mobile app by scanning our QR code.